WASHINGTON, D.C. – The Trump administration today sanctioned two Turkish officials who were both involved in the arrest and detention of American Pastor Andrew Brunson. “The administration’s sanctions are sending an unequivocal message that America will no longer abandon Americans who are wrongfully detained abroad. President Trump is again keeping his word. President Trump warned Turkish President Erdogan sanctions would be imposed if Turkey did not immediately release Pastor Brunson. “Based on President Trump’s Executive Order 13818 and on Treasury Department authority under the Global Magnitsky Act, Turkey’s Minister of Justice Abdulhamit Gul and Minister of Interior Suleyman Soylu are being sanctioned for their responsibility in perpetuating ongoing human rights violations against Pastor Andrew Brunson. “The president is not acting alone. A bipartisan majority in both the House and Senate are supportive of the president acting on behalf of an innocent American being held by tyrants in Turkey. Now is the time for Turkey to begin acting like the NATO ally that it claims to be and live up to its own constitution. 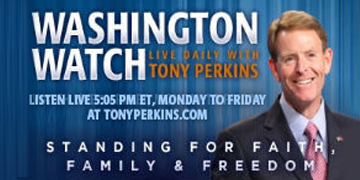 Release Pastor Brunson now,” concluded Perkins.